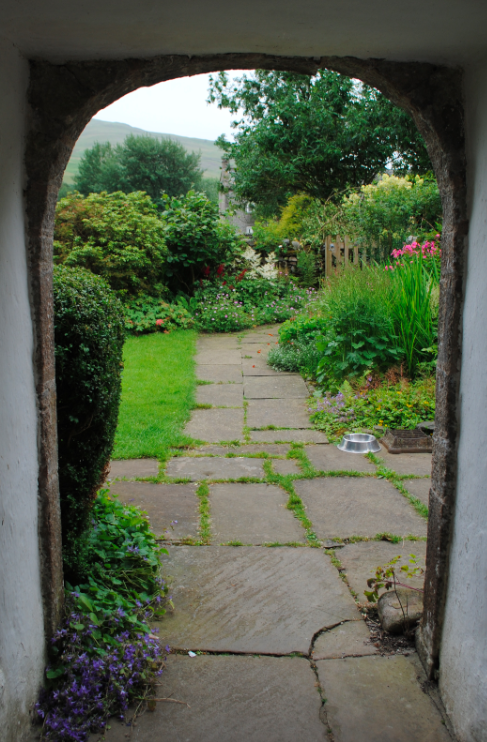 Located two miles south of Sedbergh is the Quaker Meeting House at Brigg Flatts. 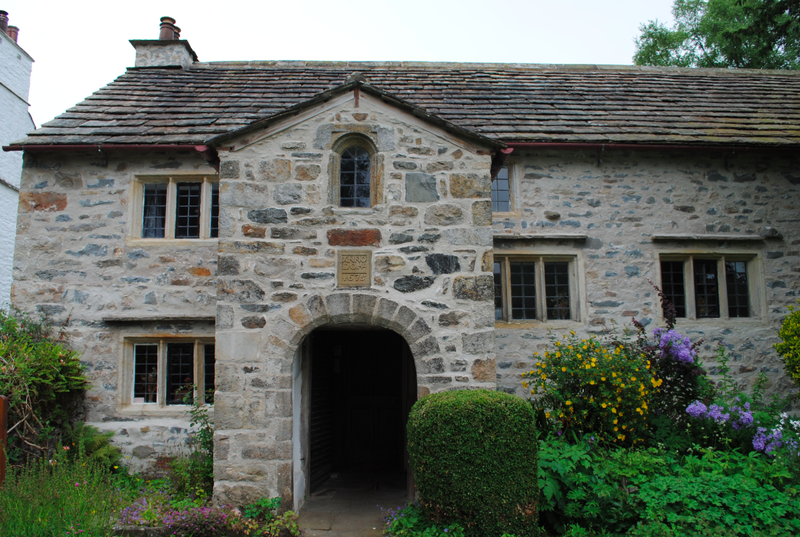 Dating to 1675, the building is constructed of mixed random rubble and is of a rectangular plan. 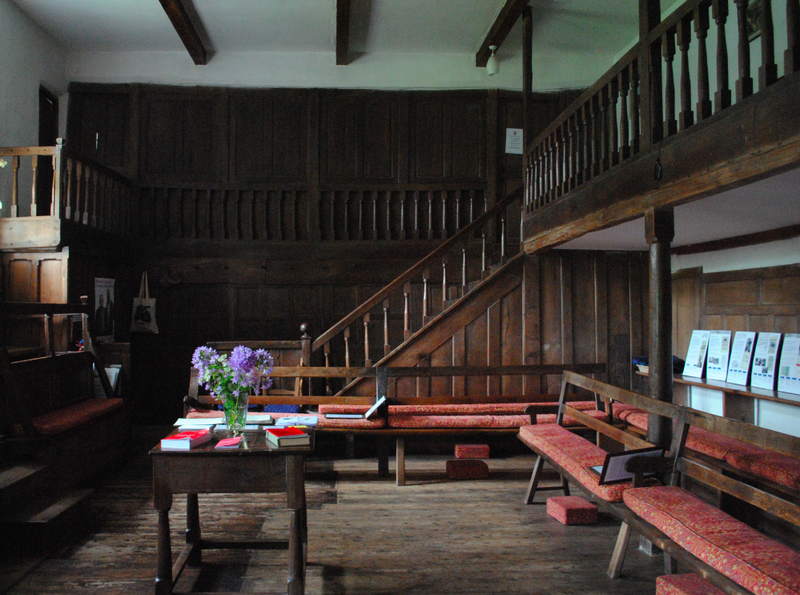 The Meeting House was designed and built by those who were to use it and originally consisted of four walls with a roof and trodden earth floor. 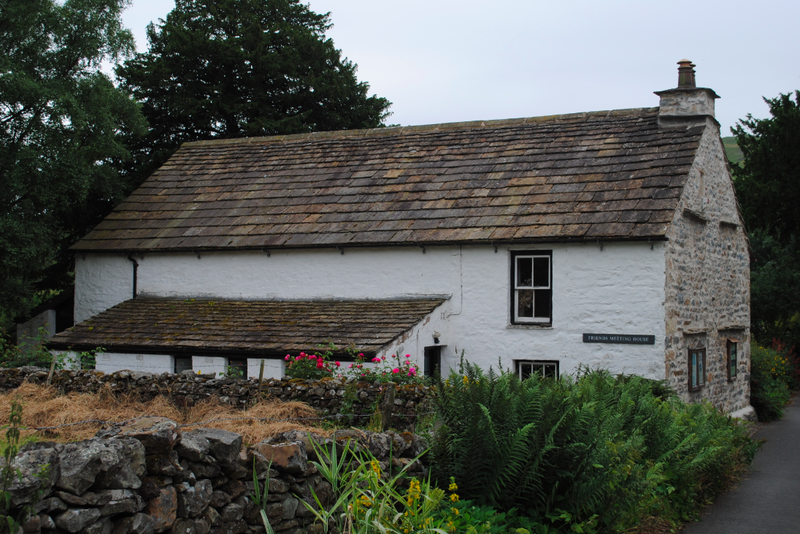 Cumberland stone was used for the roof instead of thatch which was the more common method of the time. Despite the Conventicle Act, Friends in this area decided to build a Meeting House in 1674 and purchased a piece of ground at Brigg Flatts for ten shillings. A wooden floor was installed in 1681 and the stable was thatched in 1683. As more accommodation was needed, a gallery with a wider staircase to the north side of the building was added in 1711. The building features three-light windows with chamfered mullions and stone drip courses above. The gabled two storey porch has a round headed outer doorway and a round headed window with hollow spandrels to the first floor. 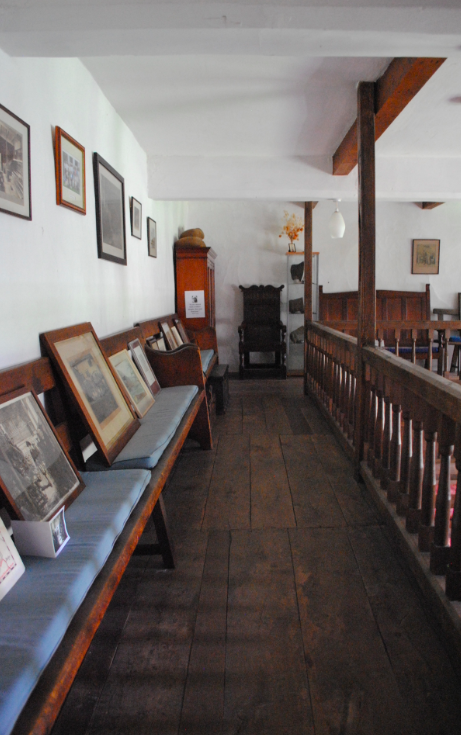 Retaining many original oak furnishings, the interior features muntin and rail panelling, plain benches of one plank wide (originally with no backs) and a gallery with baluster railings supported by wooden columns. Little work was carried out until the west end was altered in 1900. Partitioned with wooden panelling, a one bay integral cottage was added for the caretaker. Some of the roof timbers were replaced in 1905 and only minor repairs have since been necessary. 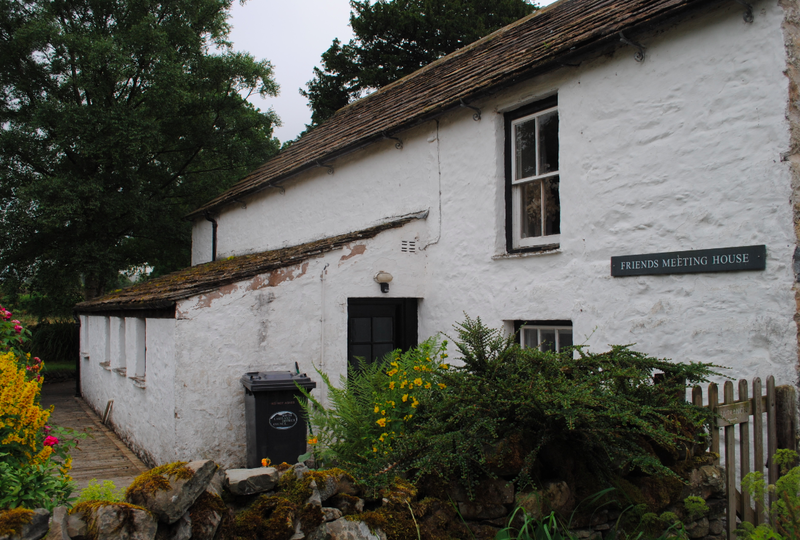 The Friends Meeting House is the oldest in the north, third oldest in England and is Grade I Listed. This is a lovely spot. been a bit damp there recently!